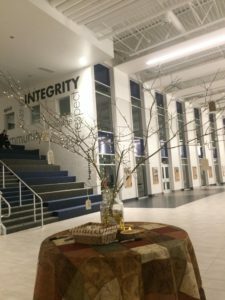 On the day before Thanksgiving this year, Cathy Herzog and the West Clermont Student Council hosted their third annual Community Thanksgiving Dinner. Those in need in the community were welcomed by fall decorations and teachers and students that care for them. 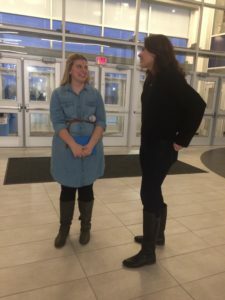 The Community Thanksgiving Dinner originated in 2015 when then-senior Makenzie Mills and her IB History Teacher, Stacy Recker, conjured the idea to host a Thanksgiving dinner for Amelia High School. With Recker’s hard work and the efforts of the student council, she was able to pull off a successful dinner. Mills and Recker even made appearances on the news and throughout the community. Makenzie Mills’ favorite part was meeting the families that she had impacted. 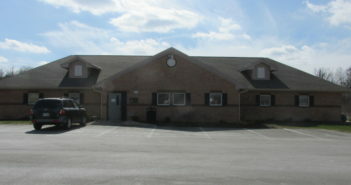 She enjoyed building relationships with them and watching them bond with other families. Mills became emotional because of the success and was even more inspired to become an educator. The dinner welcomed families at the school that had free or reduced lunches. Mills then passed the baton of leadership of this event to McKenna Adams in 2016, and with another successful dinner and numerous donations, the school was able to give $100 Kroger gift cards to each family in attendance and host a coat drive. 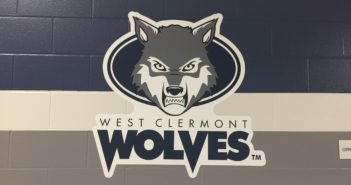 However, this year the Community Thanksgiving Dinner was even larger due to the construction of the new West Clermont High School, and the responsibilities for this event were passed to Cathy Herzog and Amanda Devine. These individuals planned on making it one of the most memorable evenings in the community, for not only the families but for all those involved. Cathy Herzog is a West Clermont teacher who was part of Amelia High School’s student council and has significant experience with such events. Amanda Devine is a West Clermont student council officer and is also a veteran to the dinners as well. Together, the two managed to organize the whole event in a month. Many were unsure if the dinner would still occur, but in late October, student council got the approval and went to work. This year, 362 individuals registered for the dinner, a record high for this event. Many businesses in the community pitched in to help the student council as well, like Dickey’s Barbecue, Skyline, Amelia Florist, and others. There were also many donors that enabled the dinner to happen, including former Amelia High School principal Stephanie Walker. 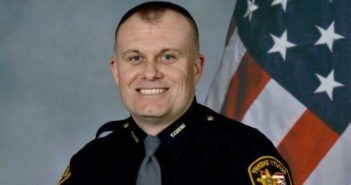 Additionally, there were many volunteers lending a hand: teachers, parents, and even Jim Rudy, West Clermont’s newest board member and retired Amelia High School teacher. Not only did the families receive a nice dinner set in a fall-themed atmosphere, there was a coat drive and a photography booth for family photos. The photo booth was run by volunteers and the equipment was from the school’s yearbook adviser. These volunteers made the dinner a night to remember for families who may not have been able to have a traditional Thanksgiving celebration otherwise. A couple at the event said the photo booth was fantastic because it was the first photo they’ve taken together since the beginning of their marriage. Amanda Devine says that the Community Thanksgiving Dinner is the “most personal” the school has ever been. 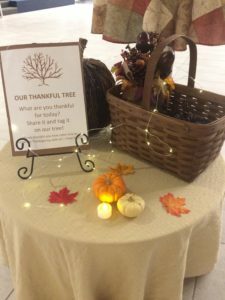 There was a “Thankful Tree” where families could write down what they’re thankful for. The cafeteria was filled with burlap and dark warm colors to enhance the experience and make family members feel like they were at home. 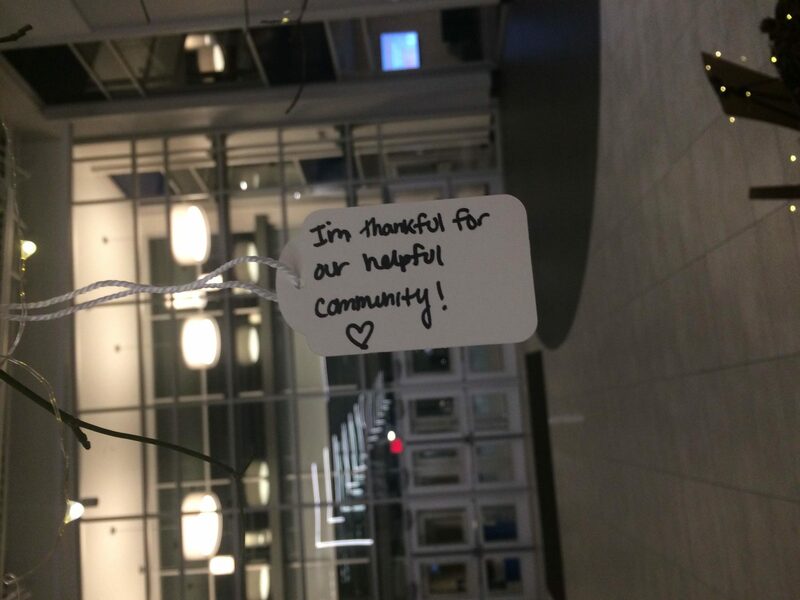 Stacy Recker says that “there’s something magical about giving,” and student council and all those in attendance were able to experience this magic at the 2017 Community Thanksgiving Dinner.